I am sure most of us have had some uninformed person, upon hearing that we are a fly fisherman, say “Oh I wouldn’t have the patience to sit and wait for a fish to bite”. Our explanations are long and tedious, and the person glazes over after a minute or so. I advocate Ed Zern’s approach*: Just throw stones at them until they go away! 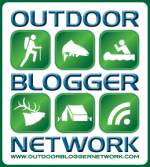 We all know that fly-fishing, and river fly-fishing in particular, is so filled with activity, stealth, assessment and other things that occupy our faculties, that one hardly requires patience. Where we do however require patience, and where I suspect we fail to recognise the need for patience, is in waiting for the seasonal conditions to improve. There is much literature and ‘fishing eye candy’ that serves to imprint on our minds, the expectation of a clockwork season. 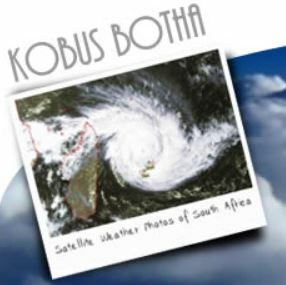 I for one, have come to expect: frost from May until August; an inch of rainfall in July (with snow on the berg); mist in September; thunderstorms commencing in October; cool nights from mid March onwards; wild thunderstorms in December. I could go on. All of these things can fail to happen many times in any particular decade, but I continue to expect them. I think it is a part of our psyche. It is probably the same part that doesn’t believe that someone in our close circle could die tomorrow. We live in denial of such facts. And spring droughts in South Africa, are as common as bad coffee. Perfect, wet cool spring seasons are a rarity for sure. Dry spring heat is definitely common. Very common. 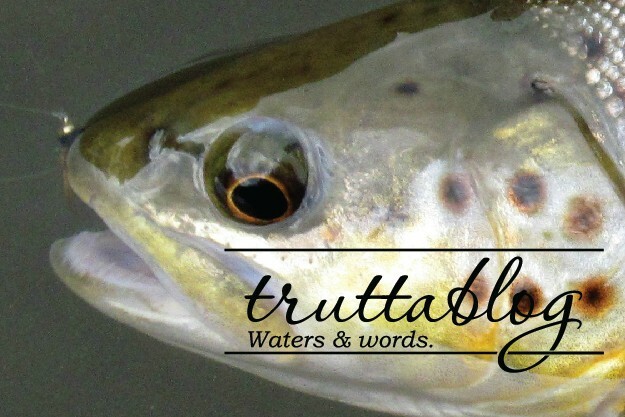 I firmly believe however, that Trout, by their very existence, can signal to us what sort of level of water is a realistic long term minimum. I made a remark to Tom Sutcliffe the other day. 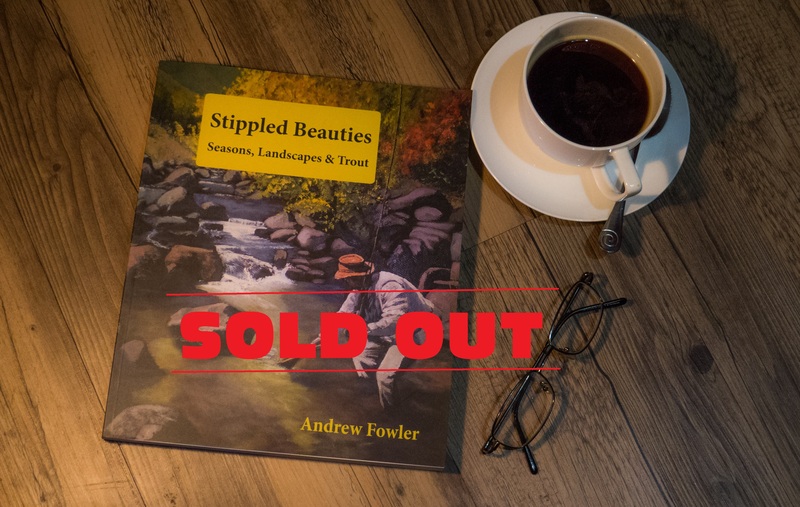 It went something like this “ I think that the average size of Trout in a stream, is an indicator of the lowest level of water they experience”. Tom said he thought that pretty much nailed it. 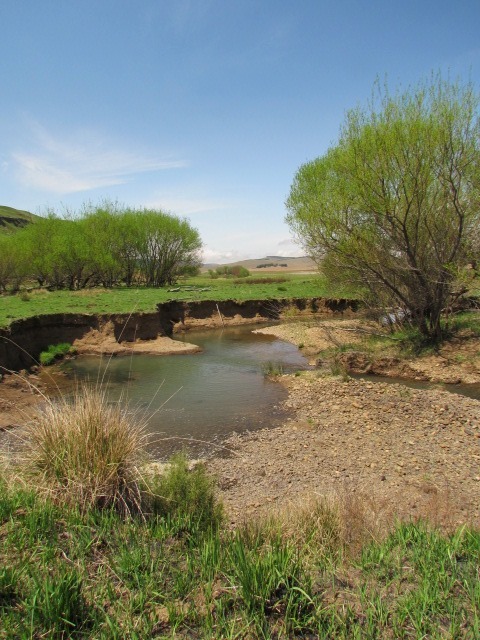 So here it is: Little berg streams, (like the Little Mooi in that pretty section below the road on the way from Cleopatra to the conservation office at Highmoor), will hold fish of a size that can be sustained by the miserable still pools left at the end of a drought. No bigger. No more. And if you have a very small stream, but it happens to be one that stays relatively full in even the worst of droughts, you may be pleasantly surprised by the size of its Trout. Similarly, a large river, which looks as though it should hold lunkers, will not, if it is reduced to a trickle in seasons such as the one we are currently experiencing. This is where realism comes in. Even one pound Trout, will never be a regular feature of the Elands River (Boston, KZN). And this is also where patience comes in. We might have to concede that an entire spring, even an entire river season, may be a write off for the fly-fisherman. A complete write off. I mean: months of staying home watching the lawn grass die, kind of write off. And, if we extend that logic, some streams, pretty as they may look in a good year, maybe aren’t supposed to hold Trout at all. No, I don’t want to accept it either. I am feeling crabby right now, and if anyone makes stupid comments about patience, they had better watch out for flying rocks. 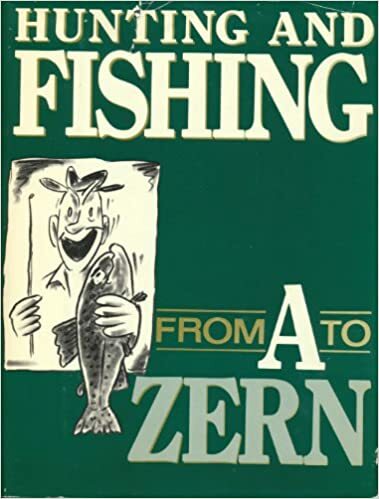 * Footnote on Ed Zern’s approach: In Zern’s superb book “Hunting and fishing from A to Zern” he describes how he once had a particularly precious hook get left in the jaw of a small and irritating Trout that he inadvertently bungled and snapped off. He went after it, flailing with his landing net in an attempt to recover the hook, and then noticed he was being watched with disdain by some other anglers. Rather than attempt an explanation, that would just sound like excuses, he threw rocks. + Footnote on Black Swans: Read the book by Nassim Taleb…. Good material if you are a DTN. # In case foreign readers hadn’t gathered by now, we are in the throws of an awful drought in most of South Africa. Our spring rains should commence around late September, and by late October we should be getting some respectable run-off. It hasn’t happened at all. Many streams have stopped flowing altogether. It is not a pretty thing! This entry was posted on November 12, 2015 by trutta. 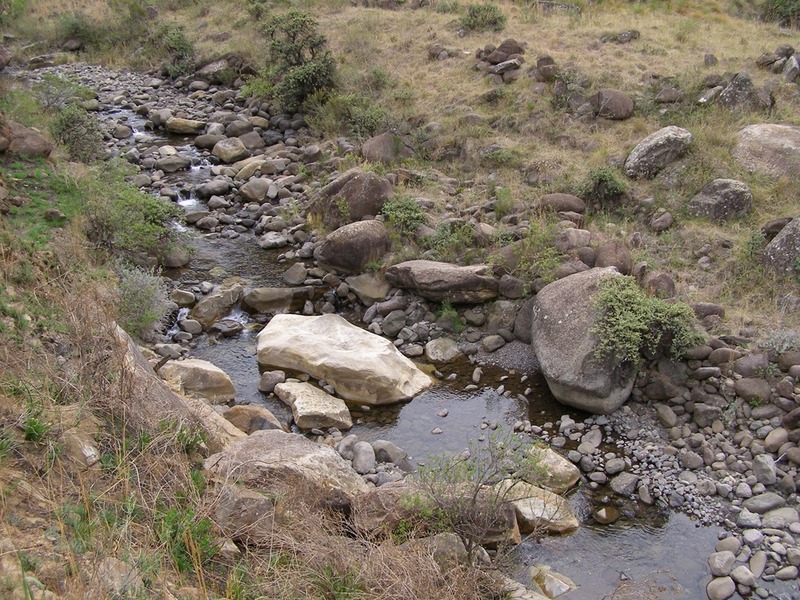 It was filed under Streams and was tagged with drought, Ed Zern, Elands River, Little Mooi River, low flows, patience, South Africa, sustainability, trout. I’m with Howard! Although… a bit more southerly. Hit home for sure. That wait, currently 14 years for us, is a realization of how precious water really is. Water that most take for granted. 14 years…wow. (I take it you are on the west coast…California or surrounds? Different parts of the US seem to always be suffering from either a drought or flooding. You can’t win for losing. I live in what is considered a high desert area so droughts are commonplace. I hope you’re gets soaked soon. Thank you Howard. Looking at pictures on your blog, I am often struck by similarities in our respective landscapes, and with this in mind, I think you understand where we are at! Will not say ‘patience’ here. Drought! And some streams take a long while to recover from it. May try to send you some rain from the wetter regions of this country, and hope for the best! Ah Walt…I think you are far enough away across the ocean to be safe from those flying rocks! 🙂 And we will receive whatever you can send. Thank you. What a coincidence, I wrote a piece last night for January’s Flyfishing on patience. I tried to make the point that patience is for thing on the periphery of angling; waiting for the best weather, the optimum water temperature, etc. In this mean season my patience is certainly wearing thin and even my faithful beagle knows that I’m best avoided in this increasingly dark mood. When the rain does come an angler needs the other P – persistence. It trumps patience every time. Here in Hillcrest it’s been damp today and we even had a bit of a storm and a downpour. It’s not a lot but it’s knocked the dust off my roses. Let’s hope it, and a few more like it, pepper the catchment areas. Insightful as ever Mr Fowler. Nice job. Thanks Andrew. Hopefully these scatterings of moisture will kick start a cycle of storms and evaporation. Well said Andrew. This drought is bad but a lot of the tragedy is man made, in that farmers have overextended their resources. The last 20 years have been on the whole good seasons for farming and most farmers, especially the dairy farmers have hugely over extended their water resources to milk that extra cow per ha. It’s easy for me to say as my father invested lots in water storage and we are fine, for now. Regarding the trout I agree with your observation that the size of the trout a river holds is related to the amount of holding water when during the dry season. 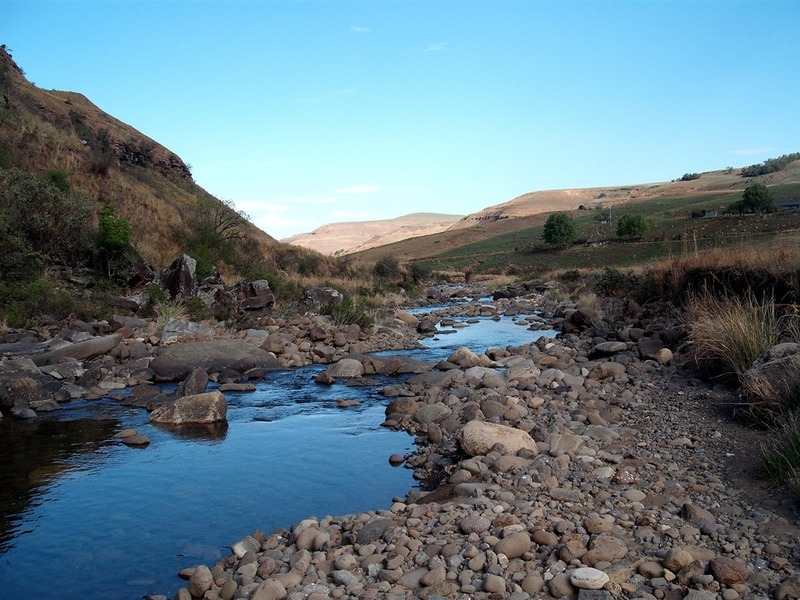 The rivers on Lesotho that I fish often show that pattern. If u have snow in the winter and the rivers flow well through winter and into spring, then you have some phenomenal fishing in that season, but if like the last few seasons The rivers almost dry up for extended periods, then the bigger fish die out and only a few smaller ones survive. It’s taken me a while to work out why the rivers vary so much from One season to another up there, but i definitely think winter snow is probably the most important difference between seasons. 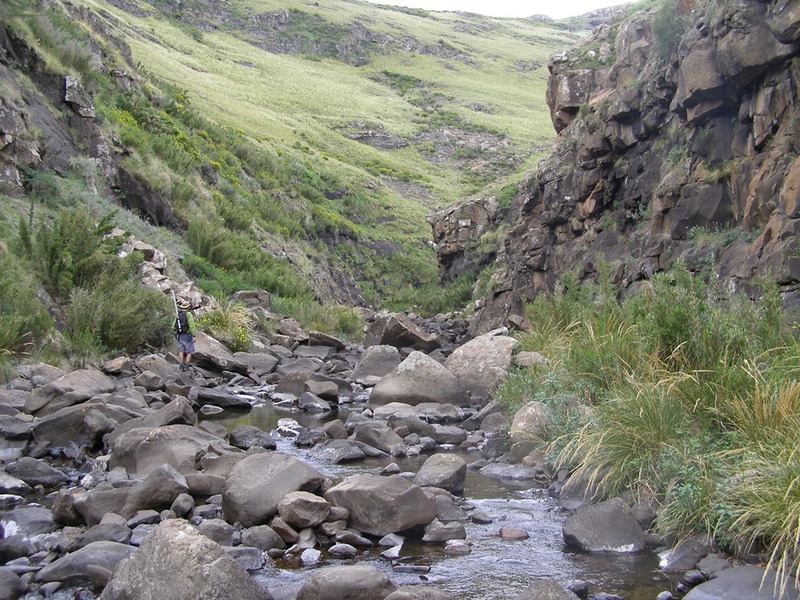 Most rivers on Lesotho have very little holding water in a drought like this a day predators like the otters and cormorants have an absolute field day when the fish are all confined to shallow pools. Thanks Rex. I think we are on the same page. And building on what you say about waiting for good seasons, we need to be both patient and in a way opportunistic….grab the good fishing when we can, and stay home, tie flies and reminisce when its awful.